Personally, I’m not such a big fan of young Zac Efron, perhaps this is because he seems to have all the girls chasing after him, he’s a movie star, rich, famous, young, and good looking – it’s just not fair for one guy to have so much luck is it?! Zac who has starred in the High School Musical movies, 17 again, and the recently released Death and Life of Charlie St. Cloud has been noticed by us as being a keen sunglasses wearing guy that seems to be able to pull off any style thanks to his pretty boy good looks. 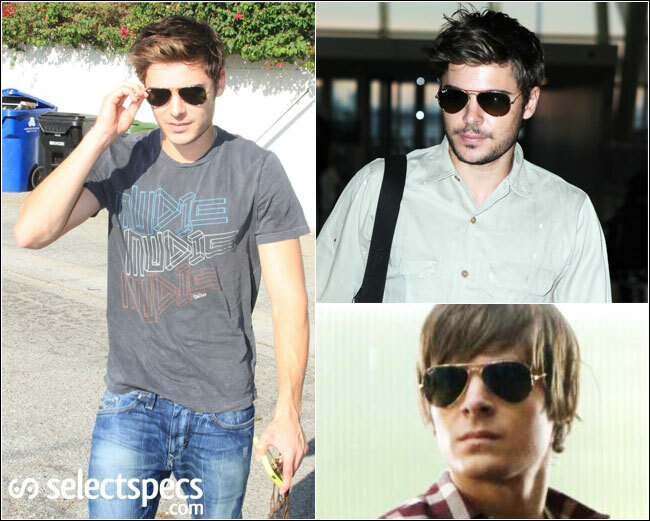 Zac Efron wears the Ray-Ban 3025 Aviator sunglasses well. 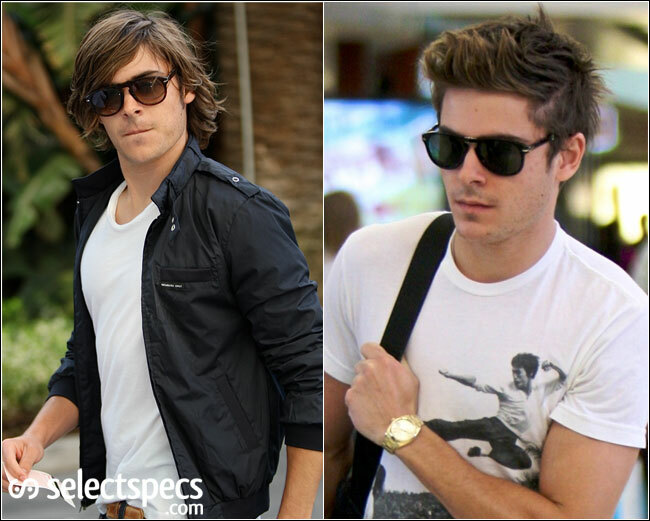 Zac wears the Persol PO0649 Sunglasses (left) and the Persol PO0714 Folding Sunglasses (right). 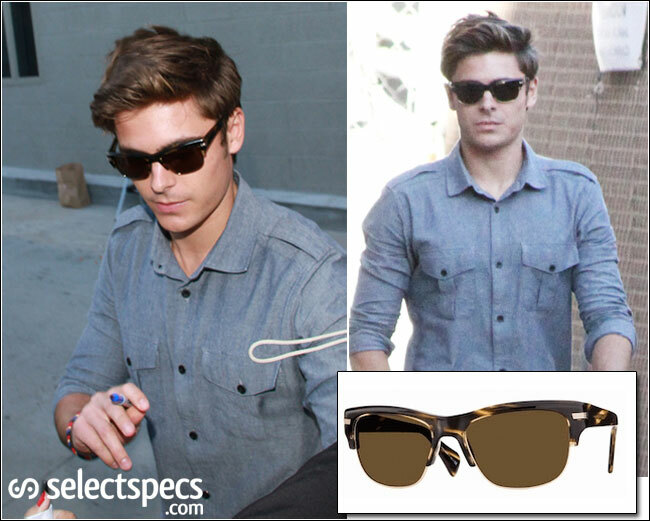 Zac wears the Oliver Peoples Wilder Sunglasses. 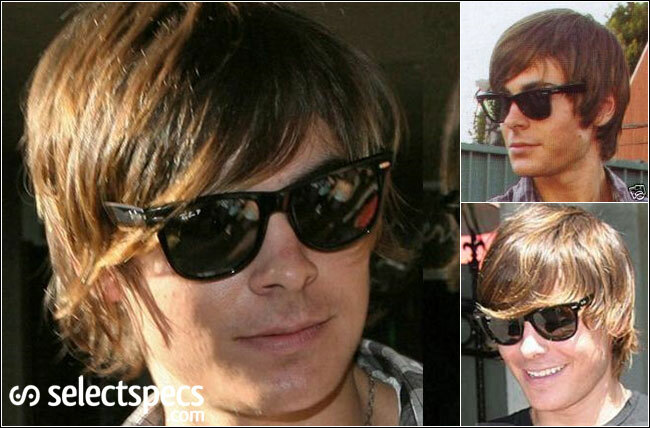 Zac wears the Ray-Ban Wayfarer Sunglasses. Zac wears the Oakley Frogskin Sunglasses. Zac wears the Oakley Holbrook Sunglasses.